We went on a family holiday last summer to Queensland for a week. 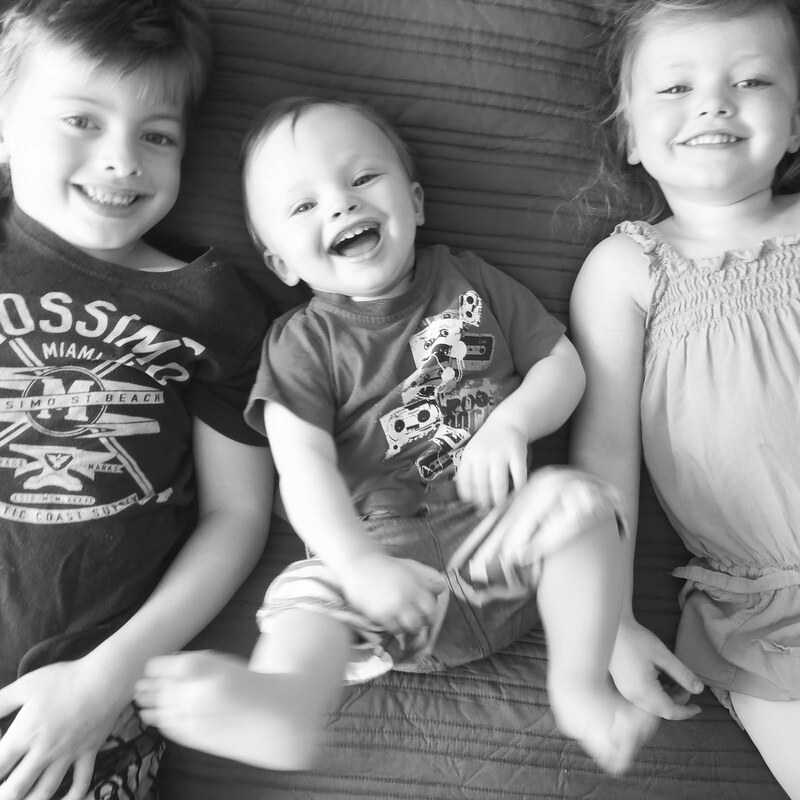 It was myself and my husband, and our three kiddies (the youngest being just 7 weeks old). 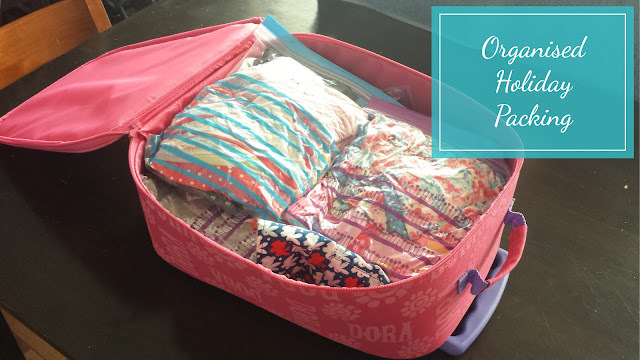 When it comes to packing for a holiday with children it can sometimes seem like an overwhelming task. You find yourself wondering how on earth you are going to transport not only your family but everything that they need as well. This is not to mention the fact that with just two adults you need to be able to fit this luggage in vehicles, move it through airport check ins and at last store it in the hotel room you are staying in. Well worry no more for I have found the perfect (and a very inexpensive) solution. 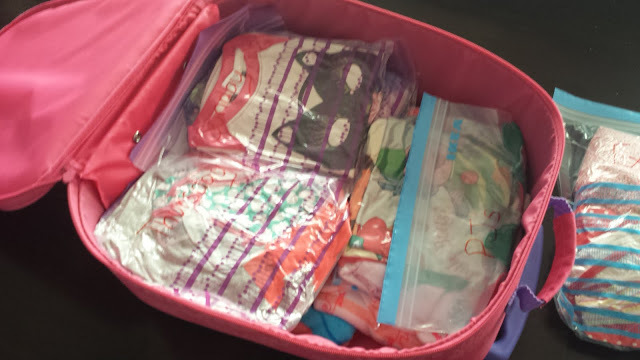 For those of you that know me, know that I have a love for snap-lock bags, and I can probable find you about 100 uses for them, 10 of which I probably use on a daily basis. These Ikea ones are my favourite, they come in three packs and six different sizes. I love their jumbo size ones the best! Today I'm going to show you how to use them to fit a weeks worth of outfits, bathers, and spare clothes into a kids size suitcase. Perfect for your little ones to wheel around the airport themselves, which frees up your hands a little. 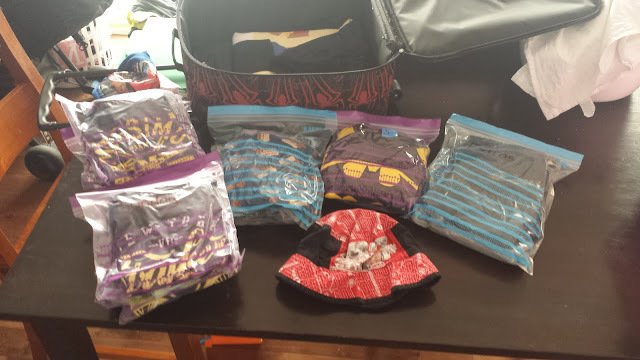 The first way I like to pack for holidaying is to sort my clothes into an outfit for each day. 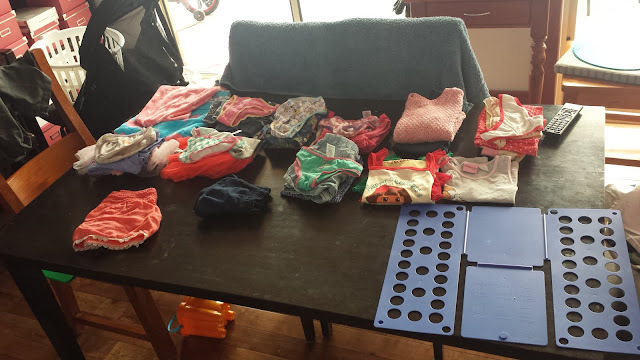 I sit down with our holiday itinerary and I work out what I want each of the kids to wear each day. Whether it's a day at a theme park or a day by the pool. I do this for two reasons. One is that it completely minimises the amount of clothes you take, and the amount that will inevitably come home having never been worn. And two is it makes for seamless and quick mornings during your holiday when everyone knows what they are wearing already. This is where the snap-lock bags come in. 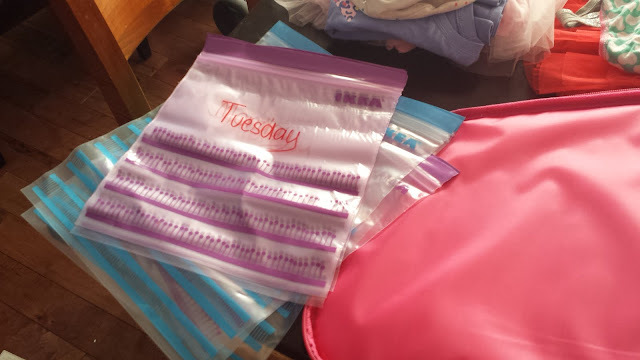 With a permanent marker I labelled each bag with the day on it. If you were doing this for particular events or locations you could even label the bags that way. That might be more useful if you hadn't planned what you were doing on each day. 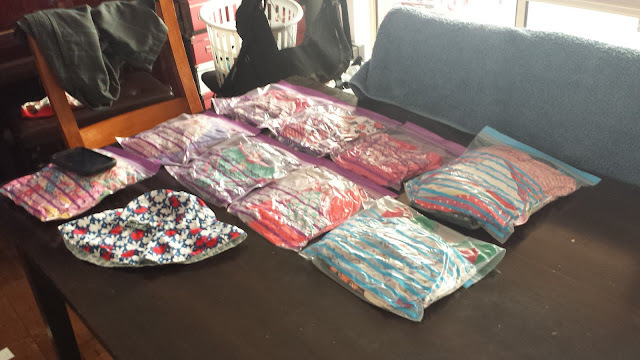 Once I had placed each outfit into it's corresponding snap-lock bag I used my body to lay on the bags, thus squishing out all of the air from the bag before snapping them shut. 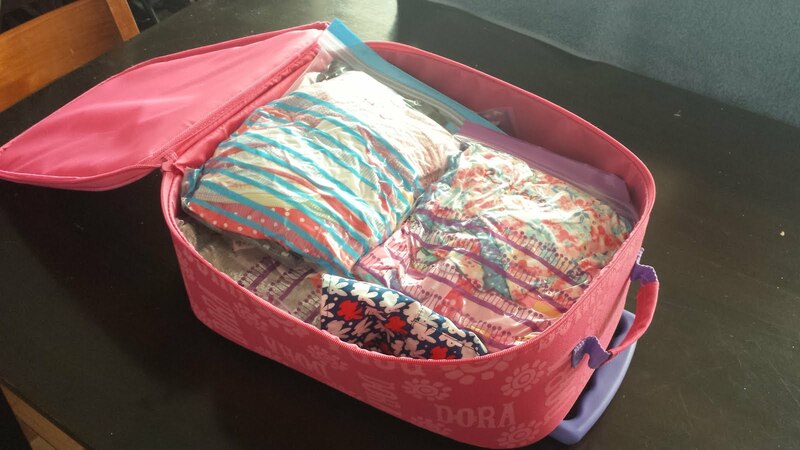 This keeps the clothes fresh and means that you fit more into your bag or suitcase. It is basically like a very cheap version of a vacuum sealed bag you use for storage. 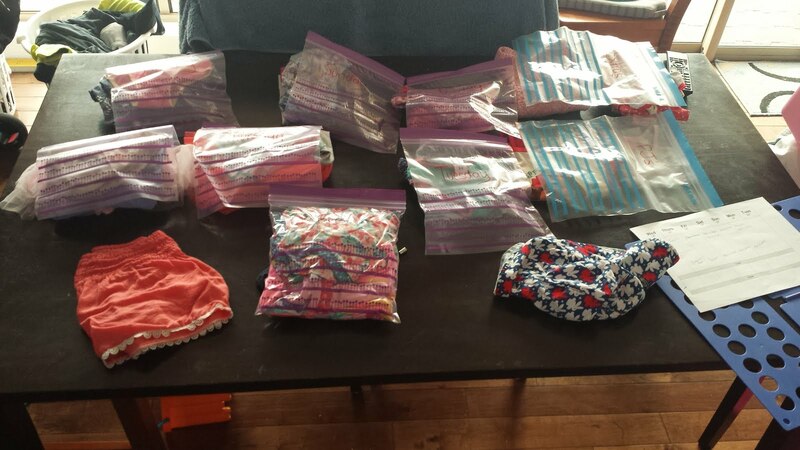 Here is the before and after so you can see just how much room you save by removing all the air out of the clothes!!! Then everything easiely and neatly stacked into the suitcase and was ready to go.